Also see Least Spellcraft, Lesser Spellcraft, Spellcraft, Greater Spellcraft, and True Spellcraft. 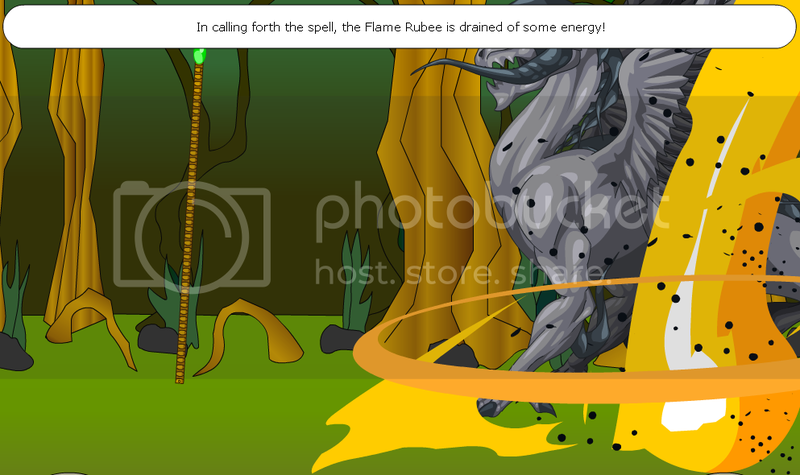 In calling forth the spell, the (component) is drained of some energy! The secret knowledge of the Guardian Order allows you to syphon enough power from the (component) to cast the spell without draining it! 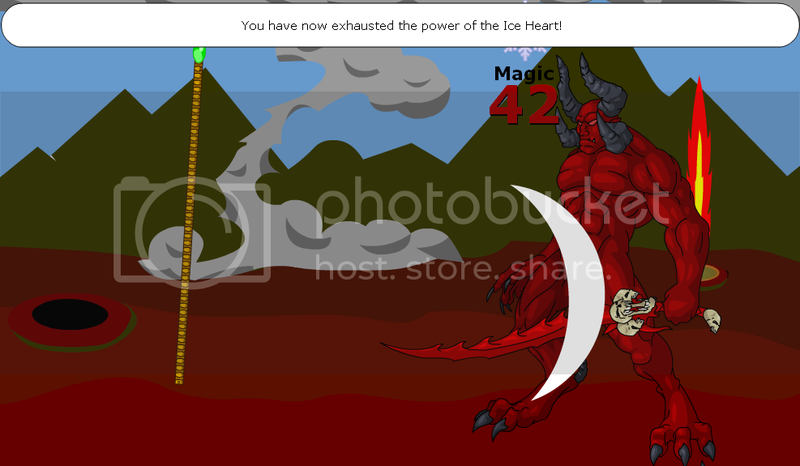 You have now exhausted the power of the (component)! Oh no! I don't have enough components to cast the spell I want! I need to go back to Warlic and quest to refill my components! Oh no! 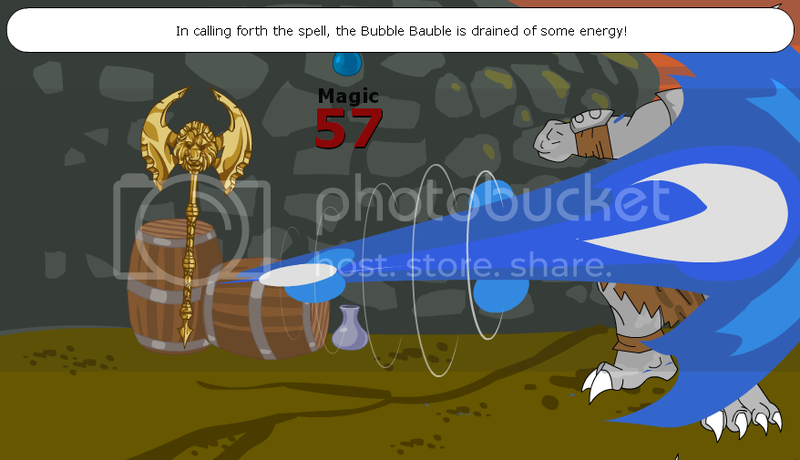 I don't have enough MP to use on crafting a spell!" Depending on which spell component you quest for, the element and stats of your spell will change. Bacon has a chance of using 3 different attack animations. Regardless of the animation, the stats are always the same. Bacon also has a small chance of a pre-spell effect and a post-spell effect occuring. If any pre-spell effect occurs, no other pre-spell effects will occur. 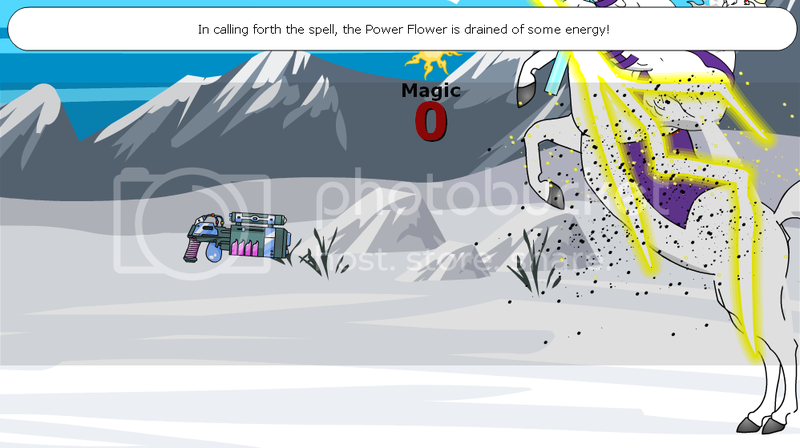 If any post-spell effect occurs, no other post-spell effects will occur. 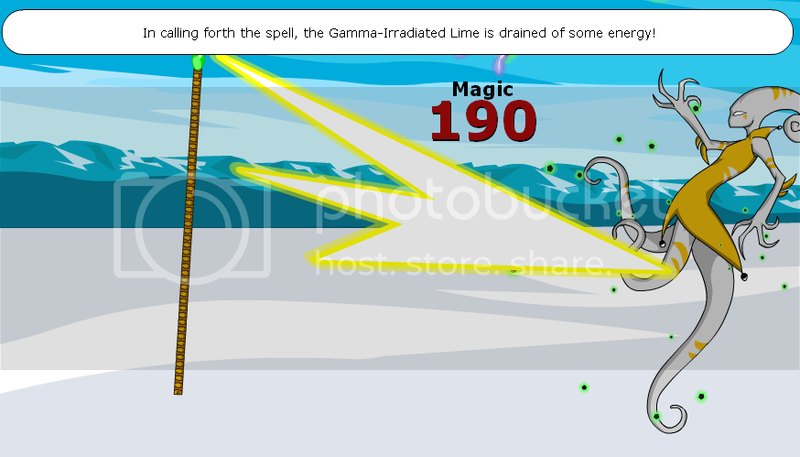 A pre-spell and a post-spell effect can both occur, however. The smokey smell of bacon invigorates your mind! 2.5% chance to Greater Weakness Seeking instead of doing Void damage. The smokey smell of bacon entrances your enemy, making him unable to dodge! You feel a crackling power connect you and the monster for a brief second! 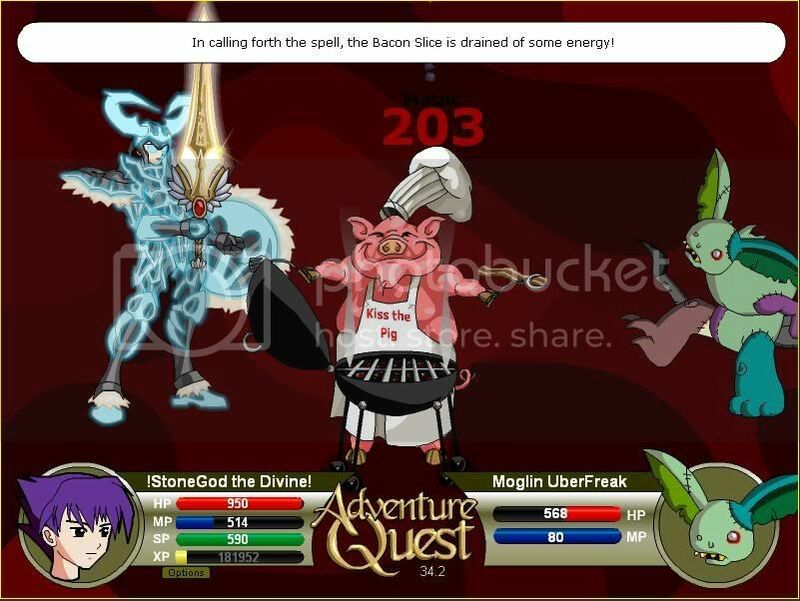 The power of bacon shatters your opponents magical powers! The smokey smell of bacon overwhelms your enemy! 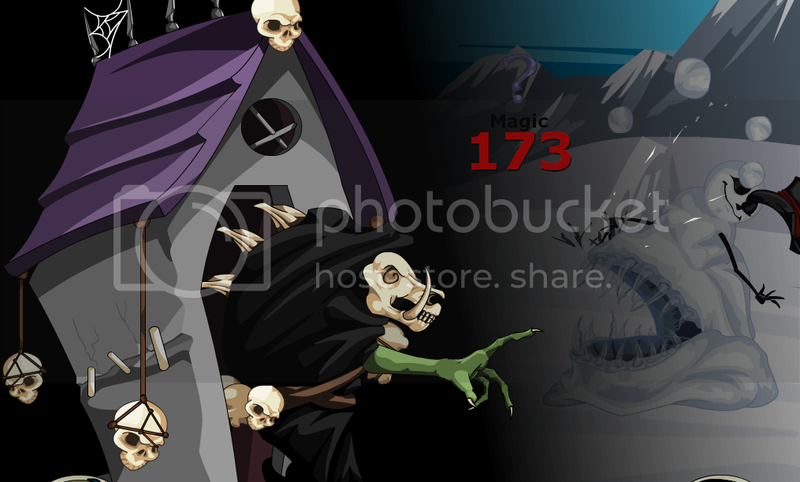 Visit Warlic in his magic shop to quest for spell components! 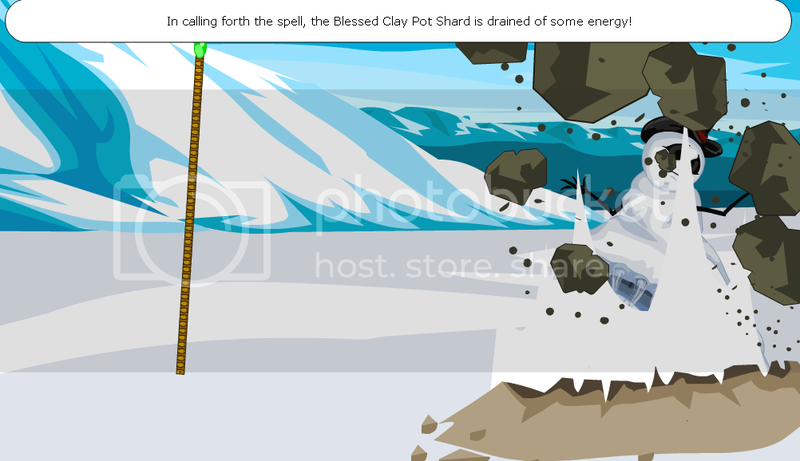 The spells available here are even more powerful than the level 60 version offers. Guardians have a chance to squeeze more power from their spell components! Images courtesy of ssjgoku5 and FisioMan. Correction from ChaoticFlame. Correction from infuturity. July 10, 2008: The spell was released.